I received Giada de Laurentiis’ cookbook “Giada’s Family Dinners” as a gift when I was about 13 years old. As you can imagine, many of the recipes were a bit complicated and intimidating for an eighth grader—and at age 23, a few of them still are! Most nights I improvise a dinner plan because it’s good stress relief for me, but the other day I decided to (literally) dust off the cookbook and try something new. 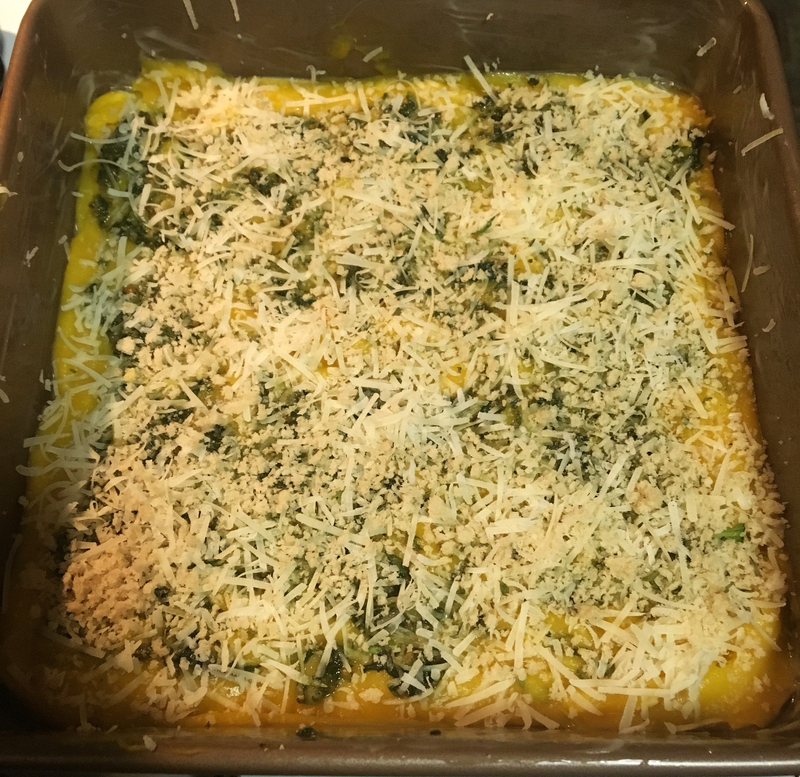 Since I had a butternut squash staring at me from the kitchen table rack for like a week, I went with this recipe. And it turned out pretty good! If you’re skeptical about the pesto/squash combination, don’t worry, I felt the same way. I think it works so well though because the saltiness of the swirled-on pesto is brought down a bit by the sweetness in the squash. 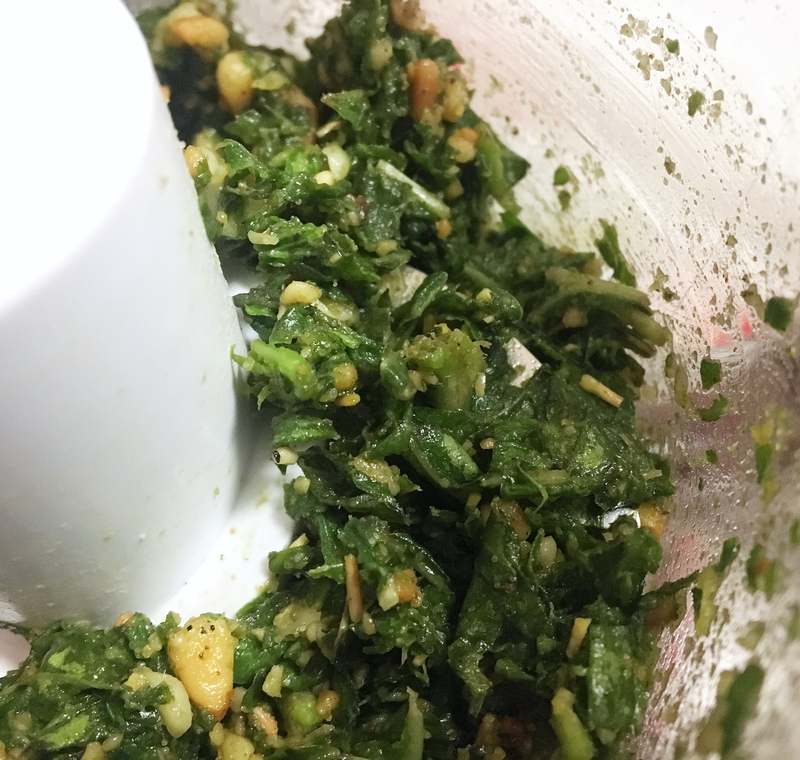 I made the pesto from scratch, but you can definitely use the store-bought kind. 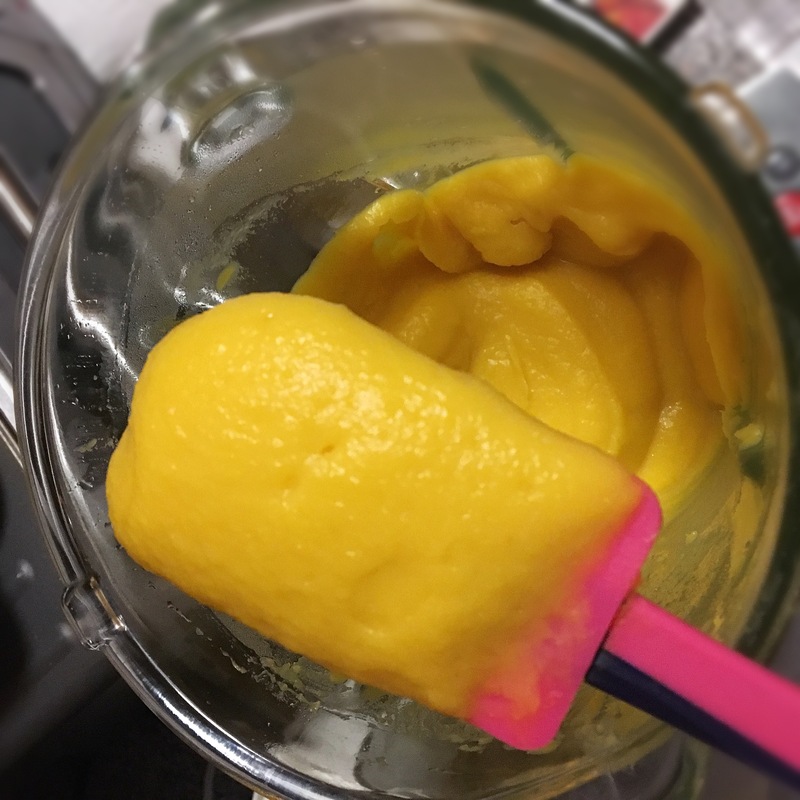 If you’re having difficulty getting the squash to purée properly (especially if you’re living that blender-instead-of-food-processor struggle like me), just add a little milk or water (or both). I never have unsalted butter on hand, so I used regular and just skipped the salt it calls for. The original recipe calls for one 3-pound squash, but I highly recommend using two squashes instead—otherwise you’ll end up with a very shallow result (we’re talking an inch, max). In a large pot, bring a couple inches of water to a boil, then add squash. Steam over medium heat until very tender (approximately 20 minutes or so). Transfer squash to a food processor or blender and blend until smooth and creamy. Season with salt and pepper. Spoon half the squash evenly into the prepared baking dish. Dollop half of the pesto all over the squash and sprinkle with half the cheese. Repeat layering process. Using a knife or skewer, swirl pesto decoratively into the squash. Finally, add pieces of butter all over the top. Bake for about 40 minutes until edges are golden brown. *Giada’s original recipe has been slightly modified in this blog post.